Apple's new Mac operating system, OS X Yosemite, appears to have bugs related to Wi-Fi connections, with users reporting slow transfer speeds and dropped signals after upgrading. Many of the issues are detailed in a growing thread on the Apple Support Communities forums, which as of Friday morning has nearly 80,000 views and 700 replies. 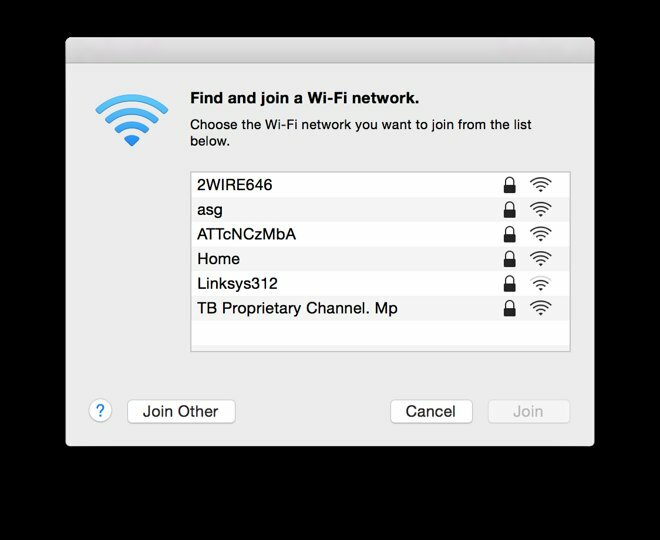 The issues appear to apply to a variety of routers and Mac systems, and only began to appear after the Yosemite update was installed. Readers have also reached out to AppleInsider to note their own issues, most commonly intermittent Wi-Fi connection drops. Users report having problems at both 5-gigahertz and 2.4-gigahertz frequencies. Some have reported being able to address the problem with a variety of different solutions, including creating a new Wi-Fi service, deleting and reconnecting to a preferred network, turning off Bluetooth, or keeping their MacBook connected to a power source. Still others claim to have had success with more extreme measures such as deleting the Bluetooth.plist or SystemConfiguration, or resetting their system's PRAM, though none of these appear to resolve the problem for every user. Some posting on Apple's official support forums said they tried calling Apple Care or taking their Mac into an Apple Store to see if a retail "Genius" could fix the problem, but connection issues continued to persist. The apparent Wi-Fi issues found in Yosemite are joined by Bluetooth problems reported on by AppleInsider earlier this month. In particular, users say that Bluetooth accessories —including Apple's own Magic Mouse, Magic Trackpad and wireless keyboard —experience lag and stuttering after their Mac has been updated to OS X Yosemite. Last month's release of iOS 8 for iPhone and iPad was also beset with a number of Bluetooth bugs, particularly when attempting to connect an iPhone to a car's Bluetooth handsfree system. Some of those problems are said to have been fixed by the recent launch of iOS 8.1.